The reason is simple, and it lies in the efficiency, speed of instant hot water and reliability of this type of heater. Some people go for the conventional electrical heaters claiming that the tankless gas water heaters can be costly. Well, that is the kind of decision made without thinking on a long term basis. The amount of energy saved by tankless gas heaters in a month is much more than the conventional tank heaters. This makes them a more affordable choice in the long run. Tank water heaters are usually bulky and need to be drained regularly to avoid bad smells and clogging. They also tend to need many repairs and the maintenance alone is really not worth it in the long run. Yes, it is cheaper to install. However, you’ll likely end up paying high plumbing bills at the end of most months. Thus, when purchasing one of these appliances for your home, you need to consider the long-term benefits. The recent improvements in gas water heater systems have made them go tankless, saving a lot of space and power. These heaters are constructed without a water storage unit as they provide warm water the instant the water faucet is turned. The water isn’t first stored in the tank and heated to the desired temperature. Instead, it gets circulated via different burners that work to heat water as it passes via the heaters towards the central heating method. The gas-run water heaters work without a reservoir which makes them much less expensive. This is because they don’t need to heat water continuously. This way, power is not utilized in preheating the water, which cools downs and has to be reheated when required. Another advantage of this type of appliance is that you basically never run out of hot water, in comparison to the conventional hot water heaters. In the conventional models, water first needs to be stored in the tank which is warmed at the desired temperature to make available hot water when needed. This way, there might be a possibility that there is no water left in the storage tank. Then, you’ll have to wait to fill up the tank first and wait for the water to heat up before you can use it. This is what makes tankless heaters so great when a large amount of hot water is needed. 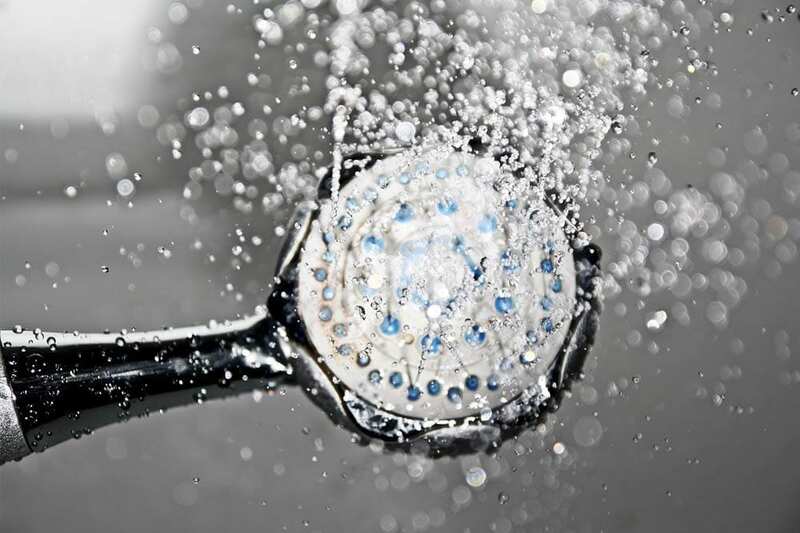 For a family of so many people, members are always going through troubles of hot water ending. Installing the tankless water heater can fulfill the requirement of hot water at any time. This is because the water gets heated instantly without any preheating first. People who have had to face situations like being hot water running out, know the issues of conventional hot water. Running out of warm water in the tank results in being flushed by a chilly downpour in the middle of a hot shower. It is a rather unpleasant situation, to say the least. For the hot water to be available instantly and at any time of the day, tankless gas water heaters are the best choice. The gas heater offers a continuous supply of hot water regardless of how long you are in the shower. On the other hand, the conventional tank heater models take a lot of time to heat water for you. The luxury of being able to get a hot shower at any time is a huge plus point of this appliance. A gas water heater is able to supply an instant amount of hot water anytime, endlessly. For a conventional tank water heater to be effective, you need to buy a heater with a large storage unit to fill the needs of the family, but doing so will utilize a lot of space, and it is most certainly not a good option for small to medium-sized homes. However, with the gas models which come without a tank, you can save much of the space needed for installing a big water storage tank. This makes tankless the choice of people who have limited space options in their homes. The financial benefit of installing this water heater can be measured by the bills and its ability to conserve energy at all times. As there is no water storage unit to keep warm water, no energy will be consumed to keep the water hot, which will result in a decrease in power consumption. This is the reason why gas water heaters are also encouraged by many government authorities. All in all, if you prefer having a water heater that occupies less space, utilizes less power and heats water instantly, the tankless gas water heaters are the best choice for you.